In an online landscape dominated by the Californian search engine giant and its portfolio of interconnected services, it’s hard to ignore Google Plus. Even the negative feedback Google’s social media network has received seems to only further ignite the flames of debate over what Google Plus is (and is not) and how it should be used. To many Google Plus converts, comparing it to Facebook is like comparing chalk and cheese. It’s hard to ignore the negative press around Google Plus. First there’s the controversial decision to force those wishing to comment on YouTube to sign up for a Google Plus account and reports from some sectors of the industry have claimed that the social network is just too complicated for the casual user. But despite these issues there are some huge positives to Google Plus for content creators, marketers and end users. There are growing signs that many businesses are starting to see the huge potential of the service, with 70% of brands now having a Google Plus presence (up 4% since 2012). Numbers don’t tell the whole story though. Much of the increasing value of marketing on Google Plus is coming from the roll out of new ways to integrate, share and deliver content across the network and even onto Google’s search engine results pages. Google hangouts, with all its attendant product integration, shows off just how much Google’s social media platform can open up the full suite of Google services; video content and all. Google Drive and Pictures integrate right into Plus and managing content into your post feed isn’t particularly difficult when you get the hang of it. 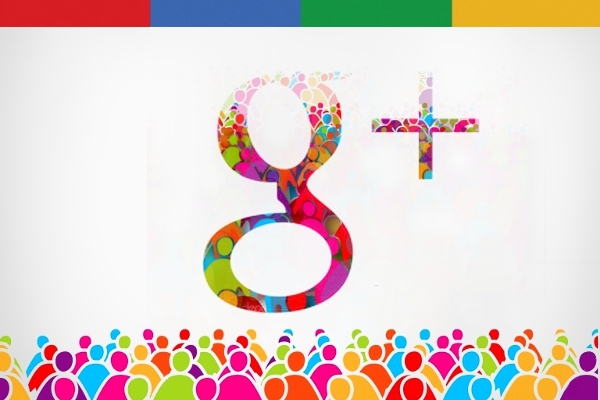 It’s undeniably an exciting time to be on Google Plus. 22% of 60,000 adults surveyed by Forrester said they visited the site each month and there is some great content being shared. This seems to be a major difference from Facebook; the biggest player in the social media space. What’s pushing the content driven mind-set of the users? One big element is the easy access to the people who influence industries that feature heavily on Google Plus; namely the social media, media creation, technology and web industries. Simply put the people you want to talk to you are more likely to start a conversation with you on Google plus. My engagement on Google Plus is currently some of the highest on the platform. I have a greater number of pluses (983,000), shares (239,000), and comments (224,000) day after day on posts than celebrities and brands like Richard Branson, Lady Gaga or Time Magazine – many of whom have more than double the 4 million followers I have. What often blows my mind are the 224,000 total comments people have made on my posts. That’s a lot of feedback on the things I say. This two way interaction between content creators and consumers is led by the “+1” button. Hardly any webpage or article is without it and it starts the engagement process that is so important when marketing. So, bring that all together. Google Plus delivers great content integration with embedded posts, great features like Hangouts and a user experience that allows a feeling of engagement with those you want to talk to. Factor in the SEO and authorship benefits that both play into Google’s search engine results, as well as the ease of use for advertisers with +Post Ads and YouTube video content integration, and you’ve got a pretty persuasive argument as to why Marketers just can’t afford to ignore Google Plus. Jon Mowat is a former BBC Documentary Filmmaker and Managing Director or Hurricane Media, a video marketing and production company based in Bristol, England.